I’ve been a fan of the Northern Irish minstrel for 5 or 6 years now; and keep going back to his earlier albums when I’m suffering from angst-fatigue; as I call it when I listen to one too many self-pitying singer-songwriters. Toner’s latest album opens with the delightful Bless the Road in which he inhabits the persona of a workman leaving home very early on a Monday morning and knowing he won’t be home again until the following weekend. As with a lot of his songs, a sweet Celtic folk melody hides a heartbreaking set of words on a song that I know I; and many like me will come back to time and time again. Most of Anthony Toners young life was spent living in Northern Ireland during the ‘Troubles’ and for the first time (I think) he alludes to this time in song; and instead of being bitter and angry he chooses to look back fondly on a childhood where everyone watched the Elvis ‘Comeback Special’ and the Rumble in the Jungle and ‘hope was the ice-cream van’ in the gorgeous hook filled Great Big World; and in Come on Angel he uses a good time Rock and Roll song to look back at his life and relationship with his recently departed Mother. 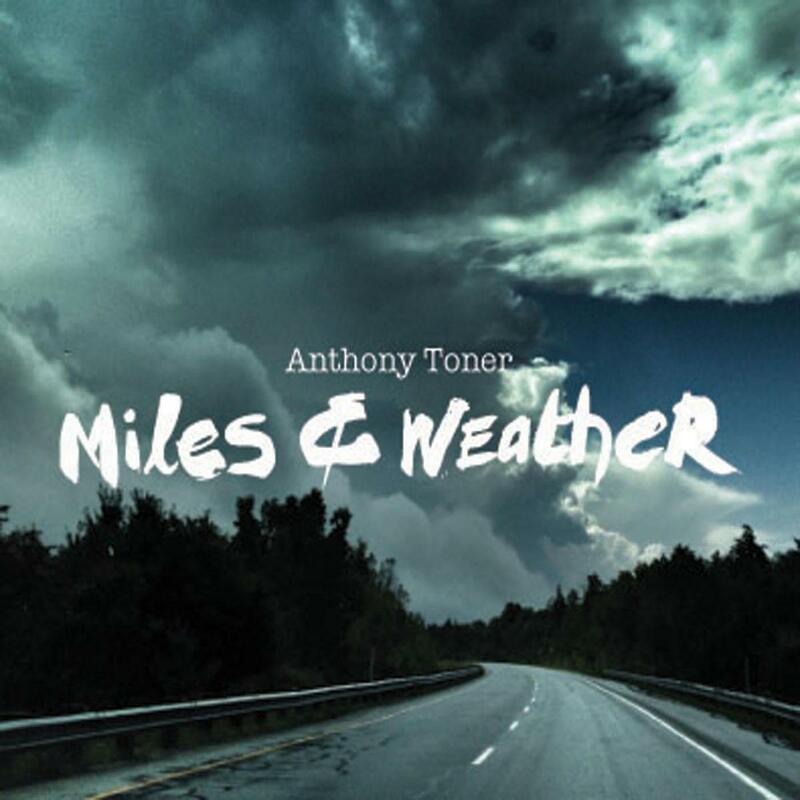 There’s a myth that all Irishmen have ‘a way with words’ and in my experience that’s not entirely true; but Anthony Toner most certainly has, knowing his way around a rhyme and certainly not afraid to use a melody to catch your ear with Cadillac Graveyard and title track Miles and Weather being prime examples of a Master Lyricist at work. Miles and Weather ends with the beautiful Andrea’s Runway Song; which is about someone who was very close to Anthony (his Mother?) who now appears like a guiding Angel guiding his path; and the guitar and lap-steel are used to great effect in the background. For what it’s worth I think Anthony Toner is Ireland’s Best Kept Secret; but with albums the quality of this it won’t be long before the mainstream catches on.